Russian Premier Yuri Andropov took the entire Communist Bloc out of the 1984 Los Angeles Olympics, stealing the spotlight from the Olympic feats of Mary Lou Retton, Carl Lewis, and Greg Louganis. 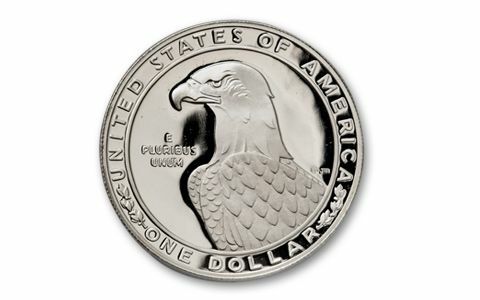 Another victim was this first-ever U.S. commemorative proof Silver Dollar, which slipped under the radar, and is still hard to find today. 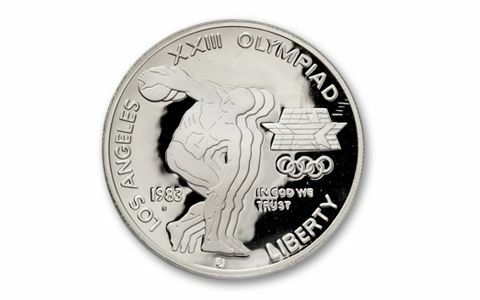 It was struck at the San Francisco Mint in 1983, and shows a discus thrower and eagle. 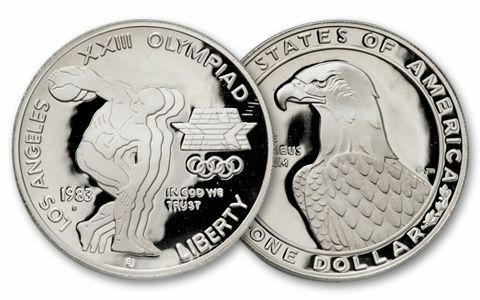 We located a small cache, and you can now get this 1983-S Olympic Silver Dollar - and save to boot.